The Wizarding World of Harry Potter Diagon Alley will span two parks and include the Hogwarts Express train. Although the books, films and video games are all finished, there’s new magic coming for Harry Potter fans. Building on the global phenomenon that is The Wizarding World of Harry Potter, Universal Orlando Resort and Warner Bros. Entertainment are expanding its most popular area with the brand new entirely themed environment called The Wizarding World of Harry Potter – Diagon Alley. Diagon Alley and London will be located within the Universal Studios Florida theme park, which is adjacent to Universal’s Islands of Adventure theme park, where guests now experience Hogwarts and Hogsmeade. The new area within Universal Studios will be just as expansive, immersive and authentic as the existing themed environment. And – just like in the books and films – guests will be able to travel between London and Hogsmeade aboard the Hogwarts Express. Work on the new area is already underway. 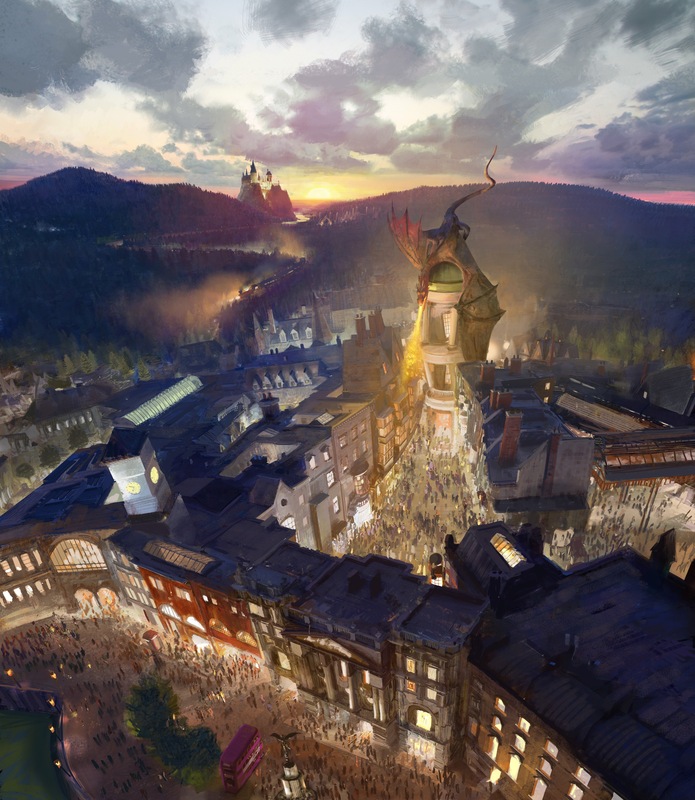 When complete, it will feature shops, a restaurant and an innovative, marquee attraction based on Gringotts bank – all directly inspired by the fiction and films.More details on The Wizarding World of Harry Potter – Diagon Alley will be released over time. More details on The Wizarding World of Harry Potter – Diagon Alley will be released over time.